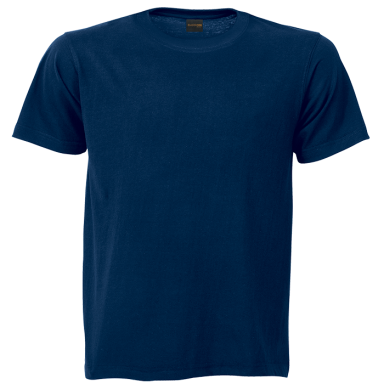 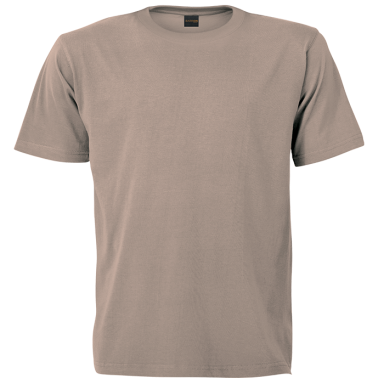 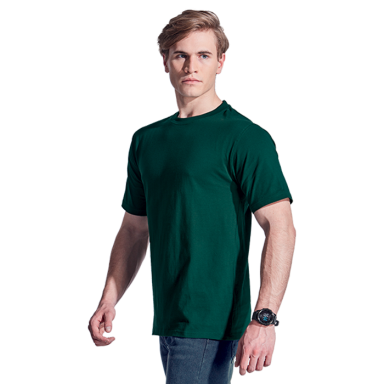 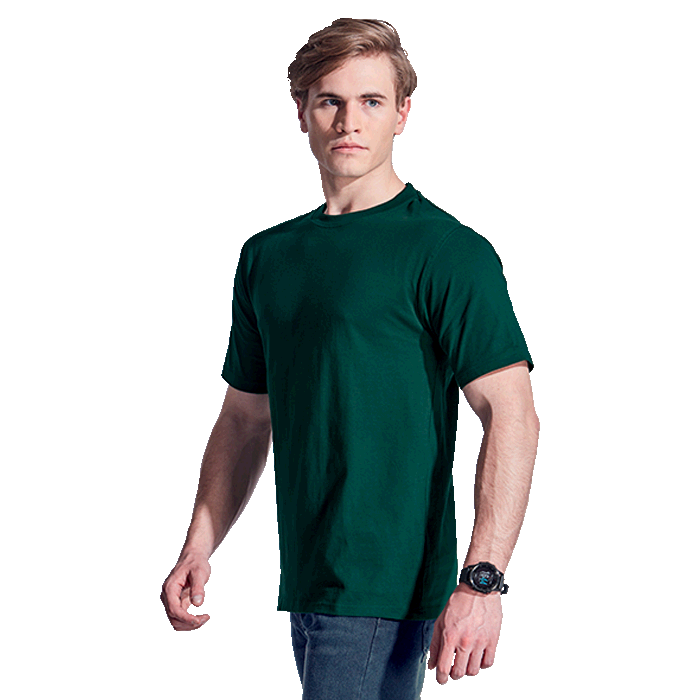 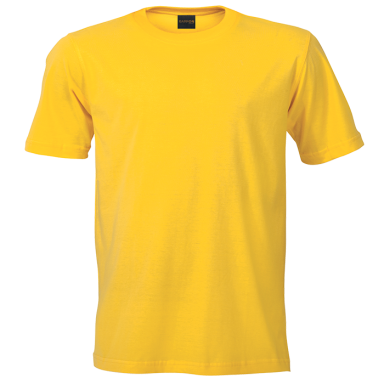 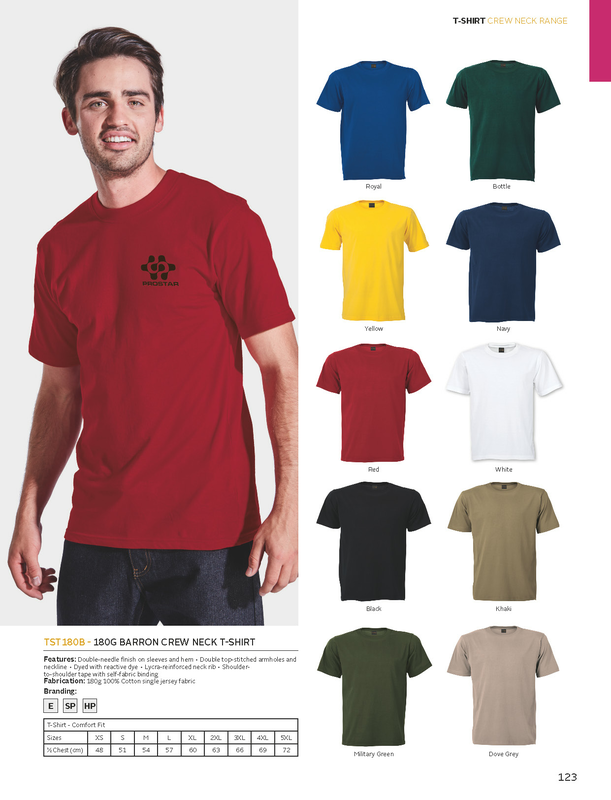 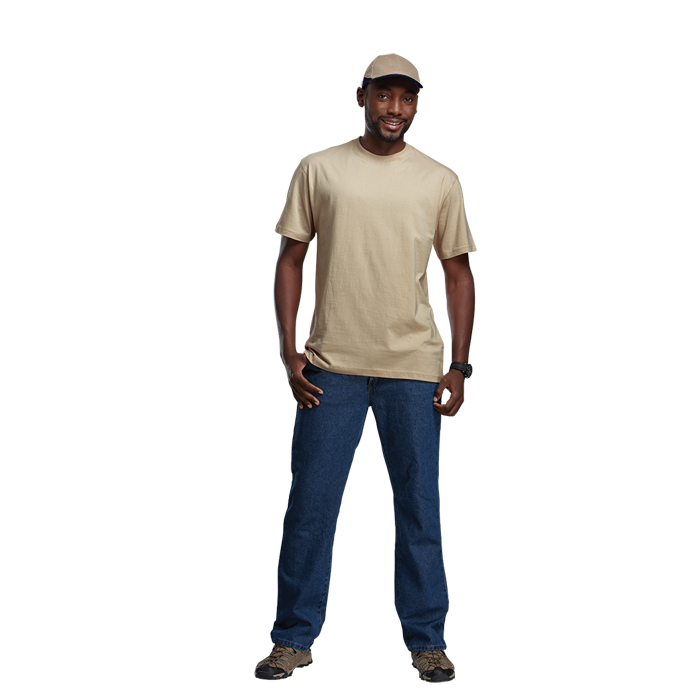 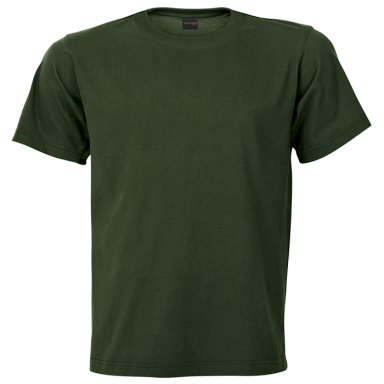 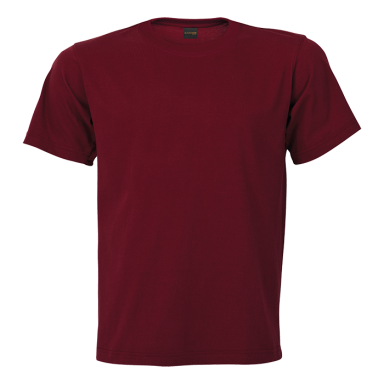 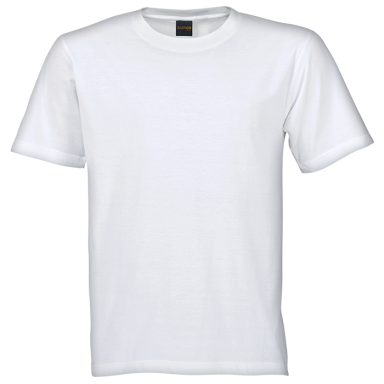 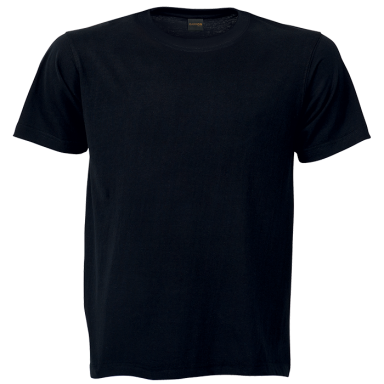 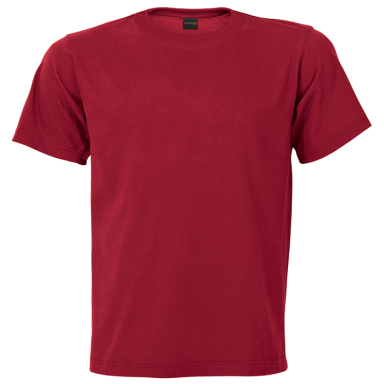 New durable BARRON t-shirt with double-needle finish on sleeves and hem. 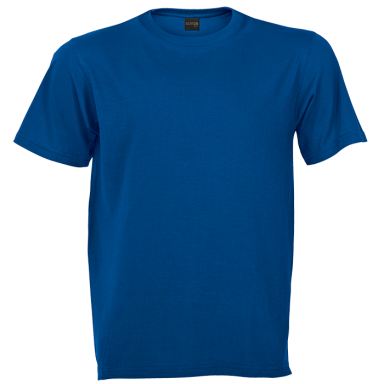 Other details include double top-stitched armholes and neckline. 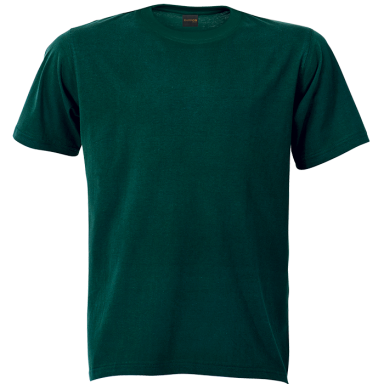 Dyed with reactive dye.